If you are ready for some outdoor adventure, take part in these military-friendly sporting events or save on your favorite activities with a military discount. From fishing tournaments to hiking and hunting experiences, there are opportunities throughout the country for you to enjoy Mother Nature, the fresh air, and the outdoor recreation you love. 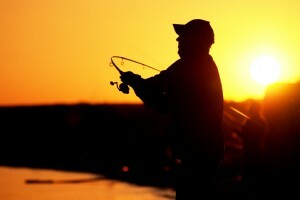 This fishing tournament helps provide scholarships for veterans and their families. The first day, June 20, is Military Appreciation Day. Veterans and military personnel are invited to stay Friday and Saturday night and fish for fun with the tournament anglers. Lodging and a banquet will be provided for you and a guest. Visit the Hero at Home website for more information. The Reel American Heroes Foundation is holding its fifth Annual fishing Tournament at the Hope Springs Marina in Stafford, VA. Service members are allowed to bring one guest for a BBQ lunch. The Reel Americans Heroes Foundation is a 100% volunteer nonprofit foundation that works with military hospitals and military bases. They provide recreational therapy to wounded Soldiers, Sailors, Airmen, Marines, Disabled and Combat Veterans. In addition to this fishing tournament, they also run bass fishing trips for wounded heroes in over 25 states. American Whitewater Expeditions offers an outdoor deal on rafting trips to the active military, plus they provide free use of a rental 4-person dome dent. Guides take participants on relaxing and thrilling whitepaper rafting trips on the three Forks of the American River. This fishing tournament honors active duty military and is a fundraiser to help support Carthage Area Hospital and the USO Fort Drum. The tournament kicks off on Friday evening with a BBQ banquet for active duty military, anglers, and families. The national nonprofit organization Horses for Heroes runs the Operation Free Ride program. This recreational riding program gives service members, veterans, and other heroes the opportunity to ride horses by appointment or at open houses at horse shows, rodeos, and other equestrian events. Visit Horses4Heroes to find a participating facility near you. The Sportsmen’s Foundation for Military Families (SFMF) gives eligible military veteran families the opportunity to participate in professionally guided outdoor hunting adventures free of charge. The adventure includes all hunting fees, food, lodging, and a weapon if needed. To apply for an SFMF Adventure, fill out an application. This unique program run by Warrior Hike helps veterans transition from their military service to civilian life by thru-hiking America’s National Scenic Trails. Veterans receive all necessary outdoor equipment and supplies, and support during and after their hike. They also assist veterans with future employment opportunities. Any veteran who has served in a combat zone and who has been honorably discharged is eligible to apply for a hike. Applications are now being accepted for the 2016 “Walk Off The War” program. Visit the website for more information and to apply. Many states offer free or outdoor deals on hunting and angling licenses to veterans and active duty service members. Check to see if your state offers this privilege.